Howlin' Wolf Records: SIX STRINGS: Lionsgate brings Alpha and Omega Two HOLIDAY FEATURES! Lionsgate brings Alpha and Omega Two HOLIDAY FEATURES! 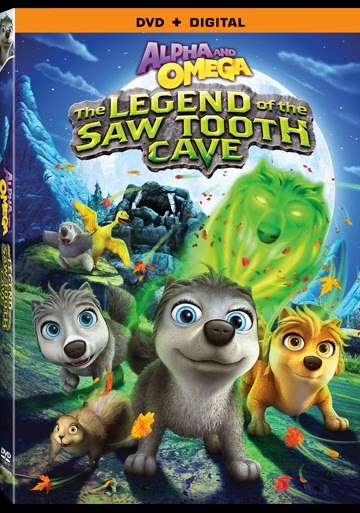 Join the pups on a journey filled with surprises just in time for Halloween as everyone's favorite wolf pack is back in Alpha and Omega: The Legend of the Saw Tooth Cave, arriving on DVD (plus Digital) exclusively at Walmart, plus Digital HD, Video on Demand and Pay-Per-View September 23 from Lionsgate Home Entertainment. 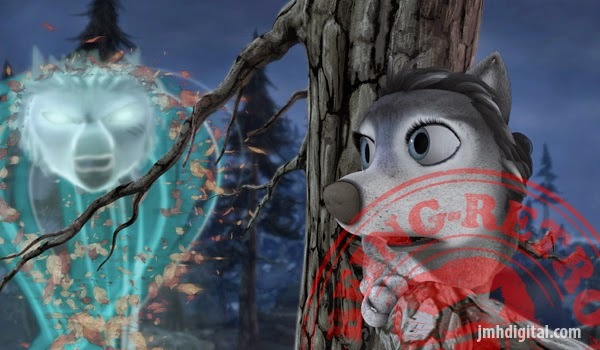 After three wildly successful Alpha And Omega releases, with over 1.5 million DVDs sold to date, the Alpha pack sets out on a ghoulish adventure in this exciting fourth chapter. A pawsome adventure that will leave you howling for more, the Alpha and Omega: The Legend of the Saw Tooth Cave DVD contains all-new special features including the "Race to Rabbit Poo Mountain" and "What Happens Next?" games. 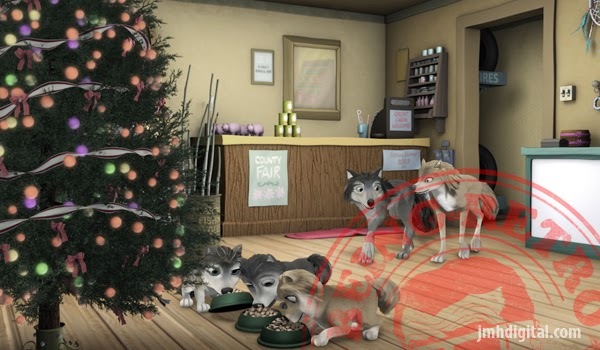 Snuggle up together and get ready for a holiday adventure fit for the “howl” family. 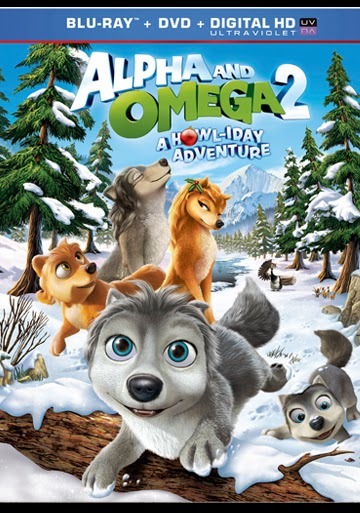 Following the successful theatrical release of Alpha and Omega, join the unlikely pair of wolves, Kate and Humphrey, and their new frisky family of cubs in an exciting winter journey when Alpha And Omega 2: A Howl-iday Adventure arrives on Blu-ray (Digital HD) and DVD (plus Digital) October 7 from Lionsgate Home Entertainment. The film, filled with action and suspense as well as plenty of humor and heartwarming moments, is currently available on Digital HD and Video on Demand. The Blu-ray and DVD special features include a behind-the-scenes look at the making of Alpha and Omega 2, fun wolf trivia and an “Are you an Alpha or an Omega?” quiz plus a sneak peek at future Alpha and Omega adventures. The Alpha And Omega 2: A Howl-iday Adventure Blu-ray and DVD.